Celery seed comes, of course, from the familiar Celery as used in salads, cooking etc. 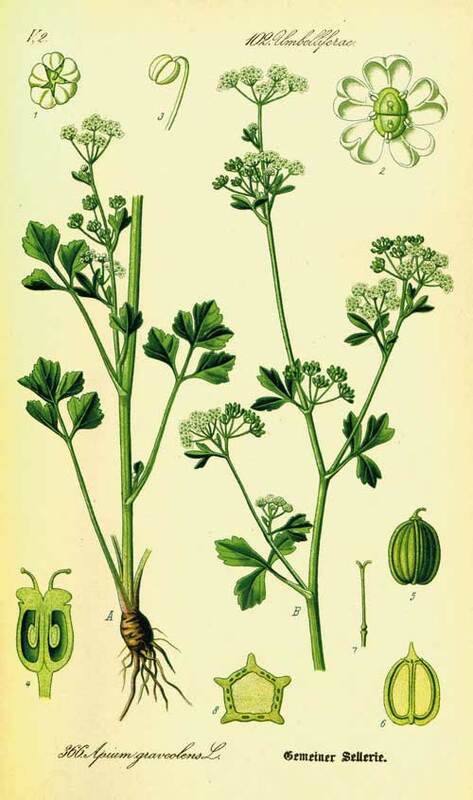 The seeds/fruits of Celery contain an abundance of essential oils which form at least part of its therapeutic action. Celery as a food has, for a long time, been valued as a spring antidote after the heavy, salty foods of winter. 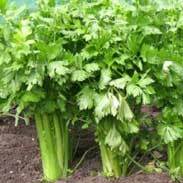 The seeds are particularly cleansing and ‘alkalising’ to the body and it is this action that has made Celery so popular in times past for conditions associated to ‘acidity’, such as arthritis and rheumatism. Celery has historically been recommended to increase the milk in nursing mothers. Celery has also been an important traditional treatment for gout and for kidney stones, being seen as able to help flush out impurities from the body. Celery , both as a food and from the seeds as a medicine, has been used to sweeten the breath and to help the ‘fat to become lean’. The image of a stick of celery on a dieter's plate has been with us for a long time. 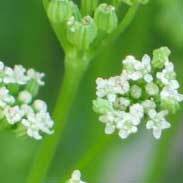 The British Herbal Pharmacopoeia (BHP) describes the actions of Celery seed as 'antirheumatic, sedative, urinary antiseptic and says it is indicated for 'rheumatism, arthritis, gout, inflammation of the urinary tract and specifically indicated for 'rheumatoid arthritis with mental depression. The BHP recommends doses of 0.5-2 grams or the 60% ethanolic extract at a dose of 0.3-1.2mls and suggests that the therapeutic action appears to be potentiated by Dandelion. 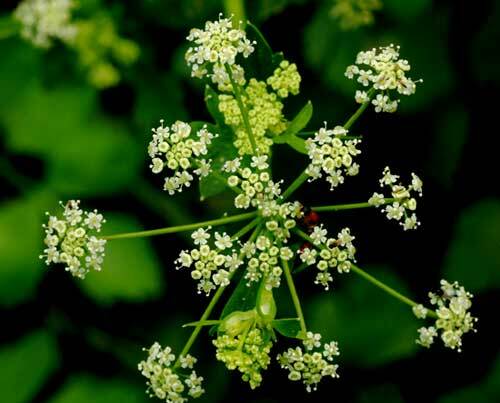 Thomas Bartram writes that the actions of Celery seed include 'alkaline reaction on the blood, antirheumatic, urinary antiseptic, diuretic, antispasmodic, carminative, tonic digestive, galactagogue, assists elimination of uric acid, anti-gout, anti-inflammatory, hypotensor, aphrodisiac'. He suggests uses for it including rheumatic disorders, stiffness and muscular pain, rheumatoid arthritis, inflammation of the urinary tract, cystitis, to increase milk flow in nursing mothers, bad breath'. Bartram recommends doses of 0.5-2mls of the liquid extract and a quarter to half a tsp of the bruised seeds to each cup of water, gently simmered 10 minutes in a covered vessel. 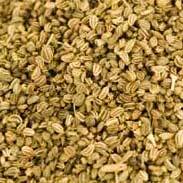 Celery seed is regarded as an extremely safe herb that can be used by all ages. It will be entirely safe to take whilst pregnant or breastfeeding and should in fact encourage the flow of healthy milk. A person who has kidney disease may find strong celery seed extracts to be aggravating as it contains an essential oil (terpenes and phthalides, especially 3-n-butyl) that has potent effects on stimulating kidney cells. Allergy to celery is fairly common, especially among those with sensitivity to birch pollen-related allergens. Note that if intending to use a course of Celery seed as a medicine it is important to obtain the seed from a trusted supplier of herbal medicines as many Celery seeds are sprayed with fungicides and would be unwise to use internally in high doses. I rate Celery highly for its ability to help the kidneys to flush out acidic waste products and have used it to obvious benefit in many formulas for aching, painful joints or a stiff, unyielding muscular-skeletal condition. Along with a number of other tests from a tiny finger-stick, I routinely test my patients for their uric acid levels at the first visit. Many people have high uric acid without actually having an attack of gout. They usually report feeling more stiff and sore than is usual but have just learned to adapt to it. 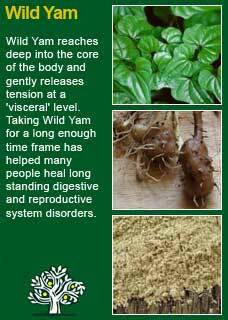 A treatment of cleansing herbs, which may well include Celery seed, nearly always sees a significant improvement in general health and a return to normal of the uric acid levels by the return visit. In some cases, where there is an acute inflammation such as one might find in an attack of gout or polymyalgia rheumatica, it can be best to use a high-dose course of Celery to help get the job done and then rest it until needed again - see the recipe below for one option of how to go about that but, because not everyone will be able to drink large amount of Celery seed tea, it is also appropriate to use it in tincture form whereby up to 10 or 12 mls a day in an acute crisis will be safe and should be effective. My much greater use of Celery is In more chronic cases of joint inflammation and stiffness where as little as 2, or up to 3 or 4 mls a day, in at least two divided doses and given over a course of weeks or more has been seen to give sure help, usually along with herbs such as Ginger, Turmeric, Devil's claw etc. In the case of Celery, at least speaking for myself, I find it a compelling but not altogether unpleasant taste and I can feel how, whilst it is a rather gentle remedy, it nevertheless caries a potent and palpable action deep into the body in general and the kidneys in particular. 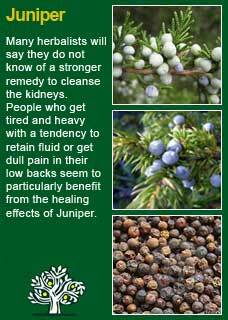 I think that anyone who was to drink a good dose of Celery seed tincture or tea would notice that they would get a considerable amount of cleansing through their kidneys for some time afterwards! 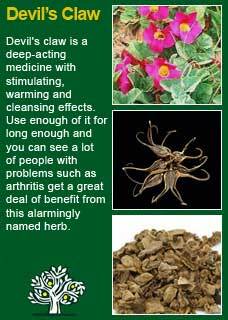 Celery seed combines perfectly with Devil's claw for hard arthritic joints, with Juniper berry for kidney stress and acidic blood and with Wild Yam for a stiff, congested general condition. Place 15 grams (approx half an ounce) of organic, unsprayed Celery seed in a saucepan with 1 large cup of water. You can repeat this treatment as often as required and you can do it twice or a maximum of 3 times a day if things are particularly bad but note that it still may take up to 48 hours to see a major turnaround with the gout. Much of the information here about the traditional uses of Celery is consistent with the model of thinking whereby one may treat problem A with plant B. There is value in this approach, especially in how it helps us pass on useful knowledge to one another, but it falls short in one vital area; and that is that people are not all cut from the same cloth! Something that works brilliantly for one person may do less for another -- why is this?